The launch of this app was inspired from uncovering the joys, pains, and realities of mobile, web, and software development. Many of the blog posts dissect this very open-source app and other real-world projects. I built the native iOS and Android apps and are completely open-source. In this podcast, I speak to world-renown, Jesse Liberty, about developing on the Apple Watch platform and Swift. 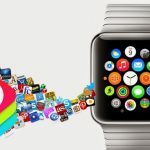 The Apple Watch was launched today and I am delighted to announce that I have released 2 WatchKits apps for the new device! It is exciting to be among the first and I look forward to contributing to this space. The next era of the mobile revolution has arrived and invite you to join me in this journey. Check out the following apps. 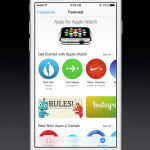 In this post, I’ve outlined the steps for submitting your shiny new watch app to the App Store. If you done this before with the iPhone, the steps are similar. However, there are slight differences with Apple Watch and also the latest Xcode 6+ makes this a bit easier with some automation.